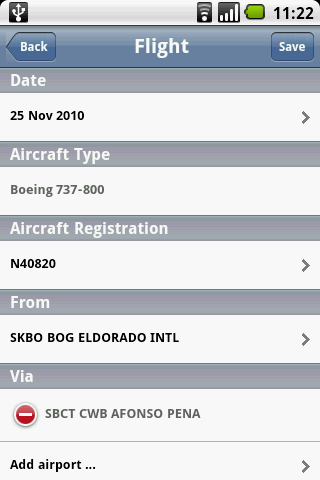 The Safelog Pilot Logbook system is available for Android™ in two basic forms: a web portal version that can be accessed by using your device's web browser (learn more about it by reading below), and an offline app version that can be obtained via the Android App Market™. 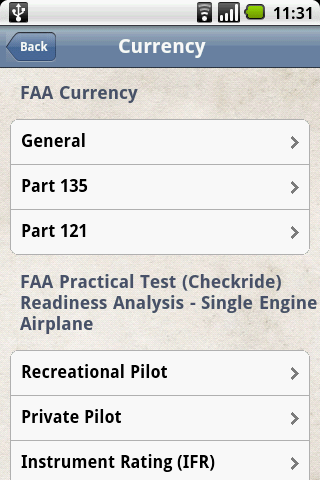 You can learn more about the app version by clicking here. There are advantages to each version; many pilots use both. Please carefully read through the pages associated with each version to determine which is best for you, and, if you have questions, we'll happy to help you via our online helpdesk. Great news for those of you who use Android™ phones and tablets. 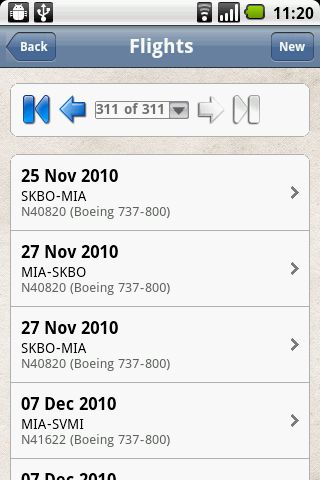 Now, you can log your flights via your Android™ phone or tablet wherever have Internet access. This service is available 100% FREE for active SafelogWeb users - there is no additional charge to access the Android-compatible portal. Here's how it works. 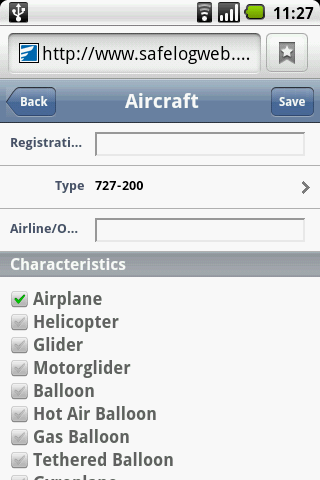 SafelogWeb is our online pilot logbook. You can reach it at www.SafelogWeb.com. Use of this online pilot logbook requires a subscription (but don't worry - it's far less expensive and far more powerful than any other similar system). Access to the Safelog Android™ web portal is included free with any SafelogWeb.com subscription. 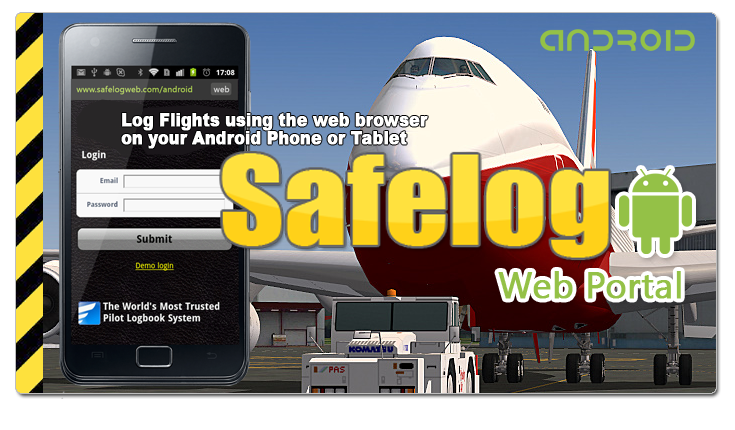 SafelogWeb.com is a web-based pilot logbook system that can be used either standalone or itself in conjunction with the Safelog PC software. Click here to visit the SafelogWeb.com page, where you can learn more, try free demos, or sign up. 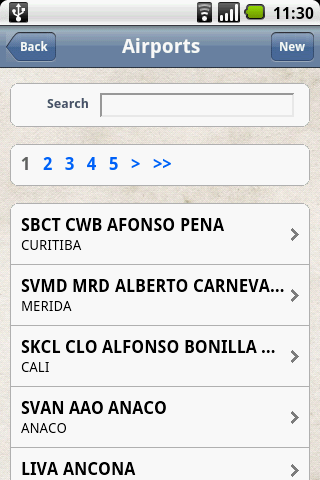 To use this Safelog Web Android™ web portal from your device, you must have a SafelogWeb account. You can do this either by visiting the SafelogWeb.com pages and signing up through there or by clicking the 'web sync' button from within your Safelog PC software and following the prompts therein. As an existing Safelog PC user, you are entitled to very significant discounts on a SafelogWeb subscription. If you are not an existing Safelog PC user, you can find out more about SafelogPC here. Is the Safelog for Android™ web portal available now? Yes! It is available now. If you are an existing SafelogWeb subscriber, just visit www.SafelogWeb.com/Android from your Android device, log in, and start logging. Which Android™ devices are supported? Most or all Android™ are supported. Why does use of the Safelog for Android™ Web Portal require a SafelogWeb account? The Safelog for Android™ web portal is not a piece of software (app) which you install on your Android&treade; phone or tablet. Rather, it's a portal of sorts - that is, a specifically designed version of the SafelogWeb web pages that is designed to display well on Android devices. Therefore, you need to be online using your regular Android data account (that is, accessing the web) to use the Safelog for Android Web Portal. If you are interested in a Safelog for Android standalone app for your tablet or phone that you can use in places where you might not have a web connection, click here to visit the Safelog for Android™ APP page. What is the price of Safelog for Android™ Web Portal? Safelog for Android™ is free! Or rather, there is no additional charge for using Safelog for Android if you already have a SafelogWeb account. That is to say, it is part of a basic SafelogWeb subscription price. We do this even though it took us significant effort and time to develop Safelog for Android. We are pricing it at "free" to bring yet more value for SafelogWeb users. What about bandwidth / data transfer charges and usage? You need to be online ("connected to the web") with your Android™ device to access the Safelog for Android™ Web Portal . Therefore, you will be charged for this access per your telecommunication provider's rates. Many Android™ users in the USA and elsewhere are on a 'fixed rate' plan which gives them "unlimited Internet" access from their devices. If this applies to you, then there is basically no marginal cost for you to access the Safelog for Android™ web portal. Of course, if you are in a roaming area or otherwise pay your telecom provider for specific bandwidth used, this will be charged accordingly by your telecom provider. We do not surcharge this in any way. 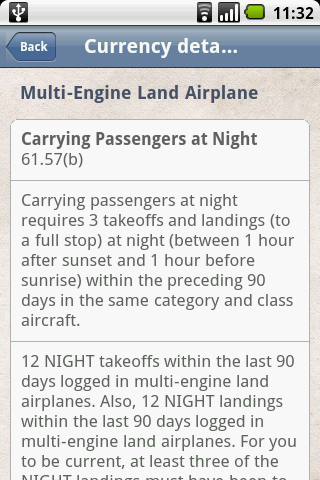 I am a Safelog for PC user and want to also log flights on my Android™ device. 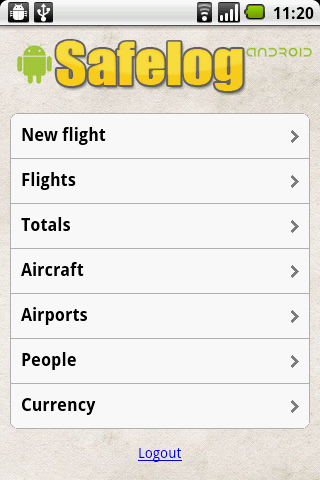 Choice 1: Get the Safelog for Android™ (offline) App via the Android App Market. This does not require a SafelogWeb account plus you can log offline using your Android device from anywhere, including while sitting in your aircraft after having safelog shut down all the systems. 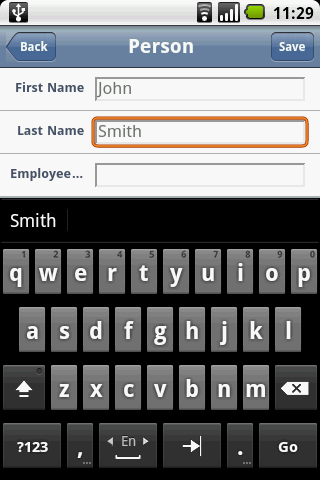 Can I access all SafelogWeb features on my Android™ using the Safelog for Android™ web portal? Why not? No, you can't - not yet, anyway, though you can do the most important, which is logging flights and viewing key parts of your logbook and certain currency and summary data. Part of the reason that not all features are yet available for Android is that we simply haven't yet ported some features to Android™ though we plan on steadily adding many of these over time. If you have specific requests of features that you'd like to see first, please contact us via our helpdesk and let us know about this and we'll do what we can. What about my custom fields in Safelog for PC? If you are a Safelog for PC user as well as a SafelogWeb user, the fields of the Safelog for Android™ web portal will configure themselves to your Safelog for PC setup. Almost all of the fields are supported. This means that your logbook on the Android™ web portal version will look like your logbook on your Safelog for PC and/or SafelogWeb account. The systems are all designed to work together nicely. 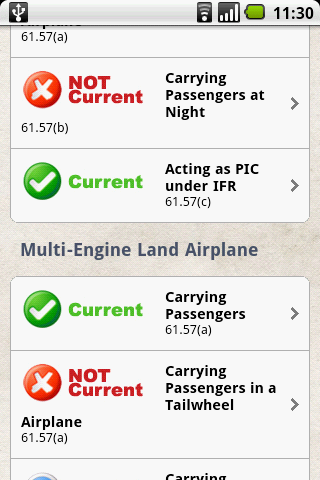 What about my aircraft, airports, contacts, and so on? These are all synchronized between SafelogWeb and Safelog for Android™ web portal , so they'll all be there for you. What happens when I buy a new Android™ device? Since Safelog for Android™ web portal is really just an online pathway to the SafelogWeb system, there's no worry or difficulty here. 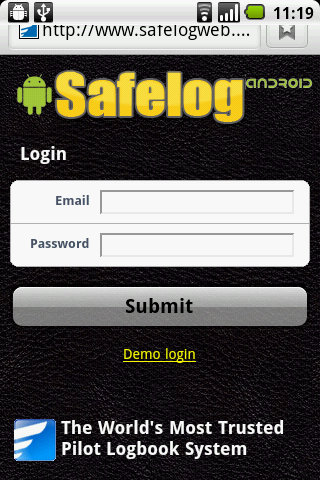 Just visit www.SafelogWeb.com/Android from your new device, log in using your username and password, and you'll be set. 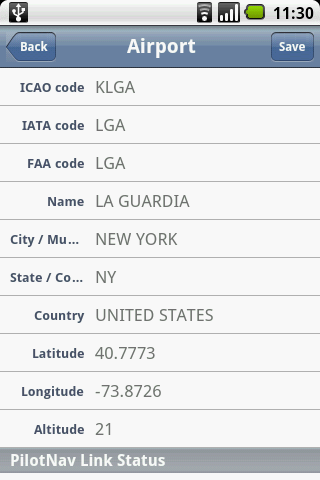 The Safelog Android Web Portal will configure itself to your logbook fields and settings and will work great whether you fly and log under FAA, JAA/CAA, Transport Canada, CASA (Australia), or any other aviation authority, worldwide rules. The following screenshots are just intended to give you a taste of what the system looks like on an Android device. However, as we're constantly improving the system, what you may see on the real thing may differ a bit. To get an even better feel for the system, please point your device's web browser to www.safelogweb.com/Android and try the free	demo available there. While the demo uses a 'fixed' set of fields, it will help you get some understanding of how the system works. Thank you for checking our Safelog for Android!